I have a total soft spot for babies in animal hats. Seriously, is there anything cuter??? 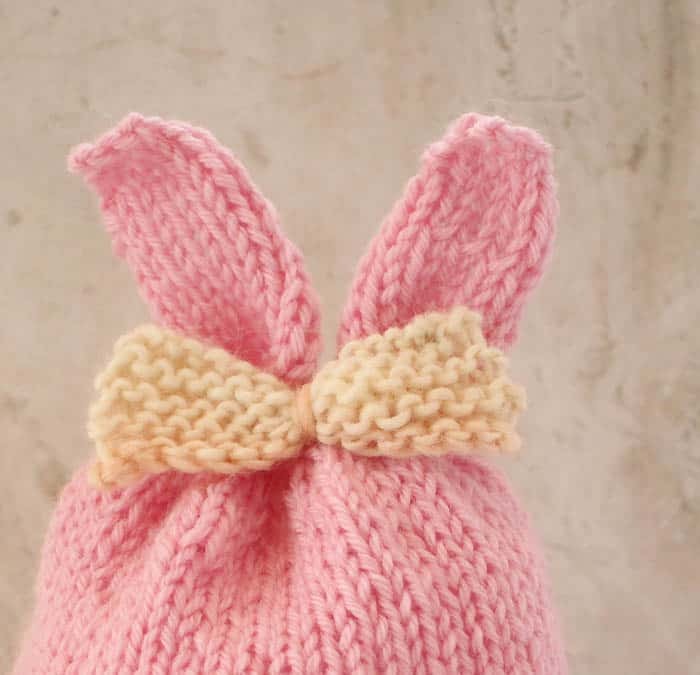 I created this baby girl Bunny Ear Hat knitting pattern for a friend’s daughter who is celebrating her 1st Easter this year. 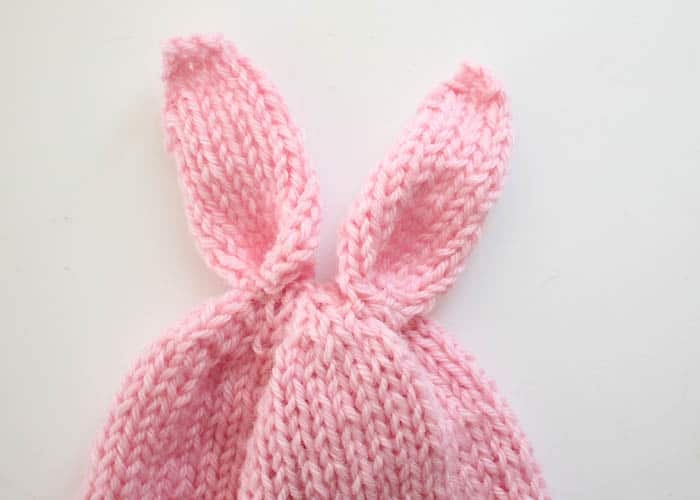 This hat is a really easy and fast knit. Every row is knit in the round. 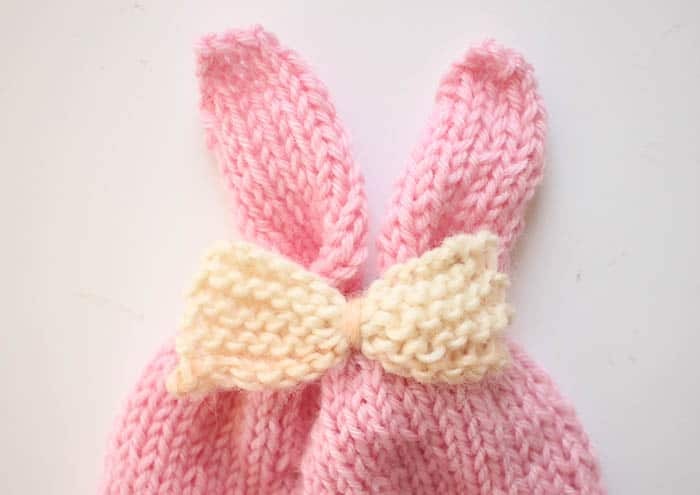 The ears and bow are knit separately and then stitched on. I hope you guys like the pattern. 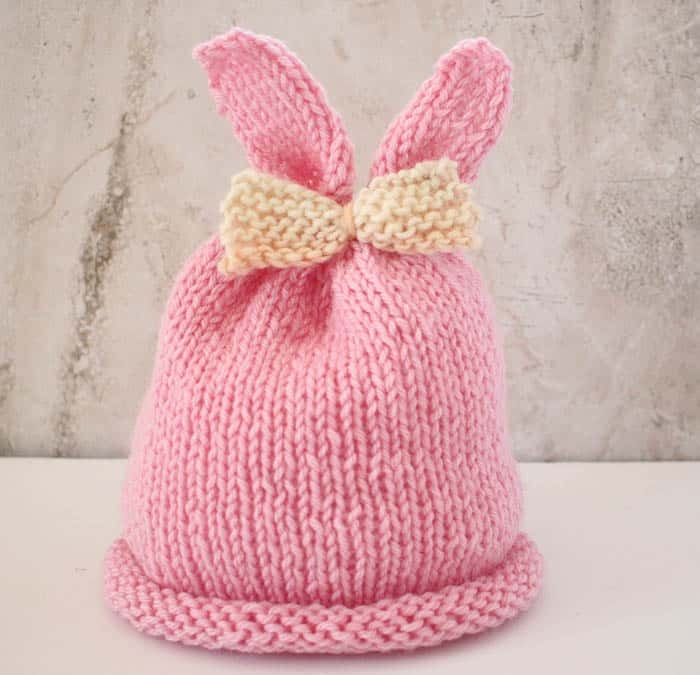 I can’t wait to see my friend’s daughter in this hat! 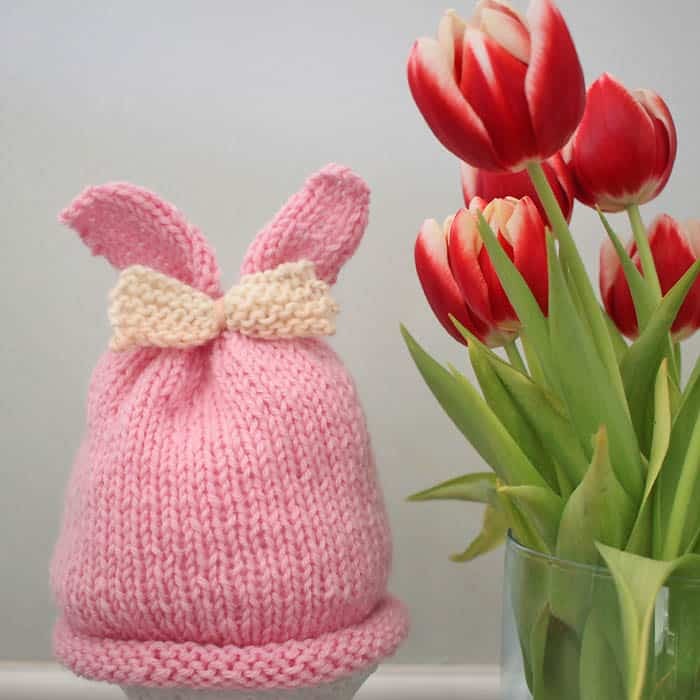 Knit in Garter stitch until piece measures 6 (6 1/2, 7″) inches from the beginning. Cut tail and pull through remaining stitches. Weave in ends. Using the straight needles, cast on 12 sts. Work in garter stitch for 8 rows. Bind off. Pinch the ear together at the bottom to give it shape. 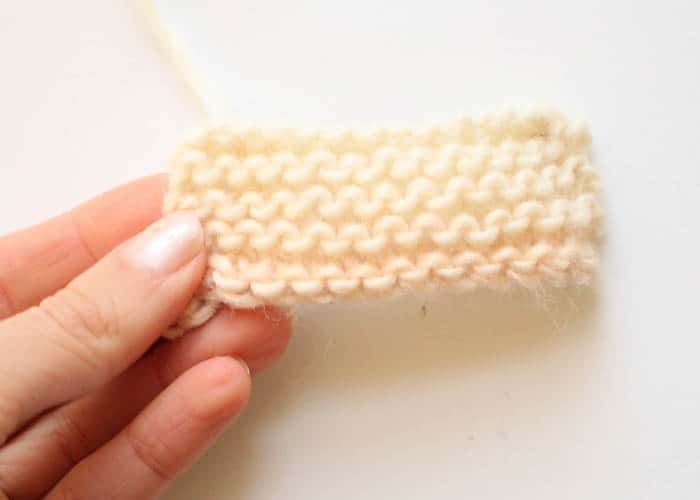 Make a stitch to hold it in place. 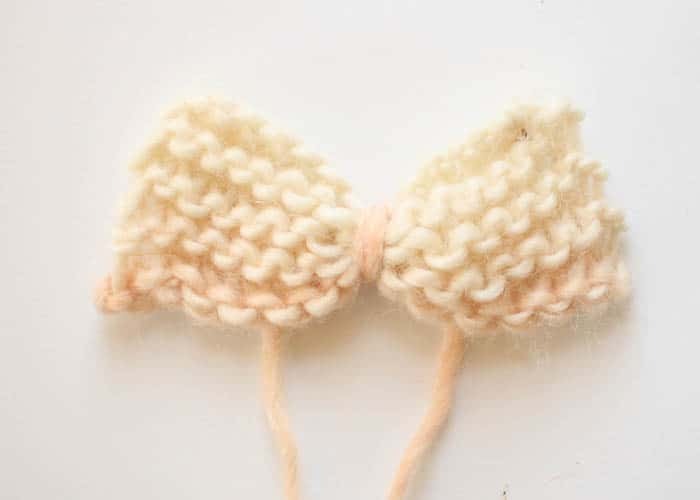 Take a piece of yarn and tie it in the middle of the bow. Make a knot in the back. Adorable! I want one for me and everyone I know! 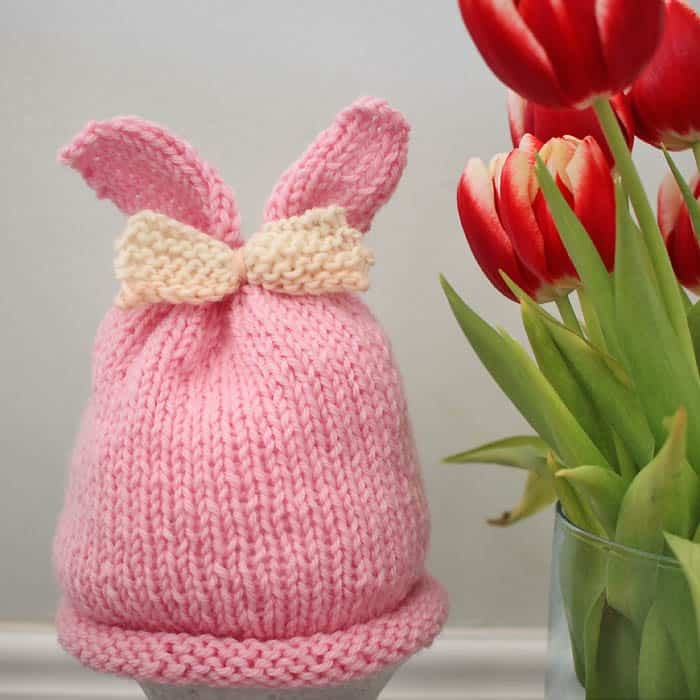 May I share one of your pics in the Easter arts and crafts compilation blog post I'm putting together? I would of course link it back to this post! Thank you and yes of course! I'd be flattered! Alicia- Thank you for featuring my hat. Your blog is great!!! Little boy bunnies could wear a baby blue? Too cute! !